We continue to let office space in Tunbridge Wells of varying sizes and have achieved record rents. Whilst we have undertaken a number of major lettings in landmark buildings, despite recent press reports of a shortage of office accommodation, we still have good quality space available. We have carried out lettings from 2000sq,ft up to individual floors of 3000sq.ft, 4000sq.ft 4700sq.ft, 5400sq.ft and 6800sq.ft.These have been to existing town centre companies expanding and to new companies coming into the town. 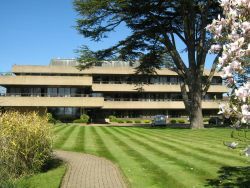 We have also just completed on letting 2 suites of circa 6000sq.ft each in a major TW building to a well known organisation re-locating to Tunbridge Wells. For further information on the above or to discuss your office space requirements please call SHANE RAGGETT on 01892 512422.